EDMs (Electronic Direct Mail) are an efficient and easy way to ask for donations, send thanks to previous donors and update previous donors about project outcomes. We did some research into what we think could be most effective for smaller clubs and organsiations and those with less experience sending email. Here is what we came up with. We hope this helps! Mail Chimp is a service which makes sending direct and personal asks to potential donors easy. The software allows you to manage your subscribers, easily build custom design emails and track how your email campaign is performing. The MailChimp Campaign Builder walks you through creating a campaign, step by step. Many of the predesigned layouts use a Drag and Drop Editor, which makes it simple to add, move, delete, and style content blocks. You can choose multiple colours, backgrounds and add logos. If you want to use the same layout again later, you can save your design as a template for future campaigns. Mail Chimp also allows you to tell your story and share images whilst directly linking potential donors to your websites, social media channels and ASF project page, creating an easily followed call to action. Mailchimp is more sophisticated than bulk emails or mail merge emails in appearance of finished product and tracking of readers actions, e.g track delivery successes, open rates, click through rates, and see which links get the most clicks, track which users are opening your messages and which are ignoring them, see if anyone has marked your message as junk or spam. 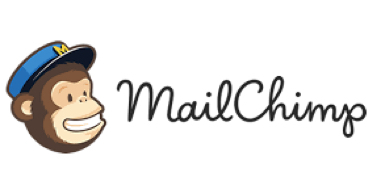 Check out the Mail Chimp website and read more about they can help you design your campaign. Include links to your ASF project page and social media pages. Make it clear what you are asking for in your EDM, whether this is used as an invitation to an event or asking for an online donation; what do you expect the guest to do at the event, how much money do you expect donors to give online and when? Include photos, they make the EDM more personalised and motivating. Include potential donor’s first names in the EDM. Mail Chimp will step you through this process, but it is important to ask everyone for their first name when collecting emails. Keep your email database up to date and update frequently to include anyone who might be interested in your project including parents, players, supporters, general stakeholders, local shop owners, schools etc. For each ask, you should aim to make 4 points of contact with your donors that are not asking for more money. Mail Chimp is a good tool to do this. Mail Chimp can be used to say thank you to your donors and to send updates on how your project is travelling. Include an unsubscribe option at the bottom of your email so those recipients who do not wish to hear from you will not feel spammed. For support in writing an initial ask EDM, you may find the Flyer template useful. For advice on other occasions to send an EDM, you can talk to your Sports Partnership Manager, but the more contact with donors the better!